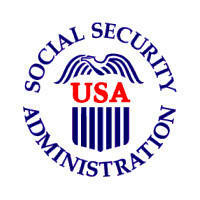 Social In-security! President Obama has said he’s willing to make changes in the nation’s safety-net system for the elderly…as part of overall efforts to reduce the debt. But he’s getting lots of criticism for it…especially from his liberal base. We’ll examine the President’s ideas….including a controversial proposal to use a new measure of inflation called “chained CPI”. Marc Goldwein - Senior Policy Director for the Committee for a Responsible Federal Budget, a bipartisan, non-profit organization that works to educate the public about issues that have a significant fiscal policy impact. Stephen Gorin - Professor of Social Work at Plymouth State University, chairman of the NH State Committee on Aging and Executive Director of the NH Chapter of the national Association of Social Workers.